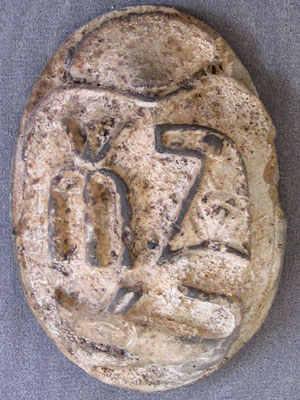 On auction is an Unusual ancient Egyptian Scarab, with cute hieroglyphics on his top, Egypt, New Kingdom, Dynasty 18. It is a very attractive, rare and very hard piece to find. 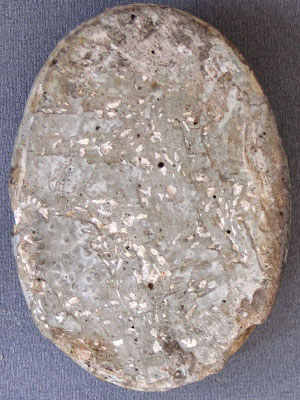 We acquired this item many weeks ago from a private collection and we're told that this item was found in Lower Egypt. Our ancient Egyptian antiquities are purchased from dealers who have worked in this field since 1978. (they are making deals with a lot of Men who works in Excavation sites in the land of Pharaohs), We routinely purchase from these dealers. 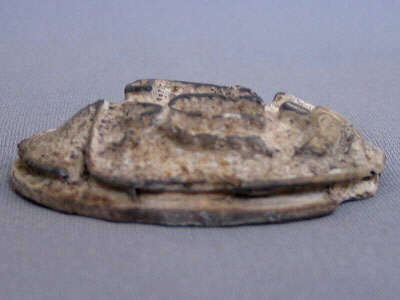 They always have genuine, high quality and remarkable antiquities that we in turn, offer to you.